Waste paper balers are often used in waste paper packing stations, carton factories, ith the growing awareness of environmental protection, waste paper balers play a big role in reusing some waste paper. 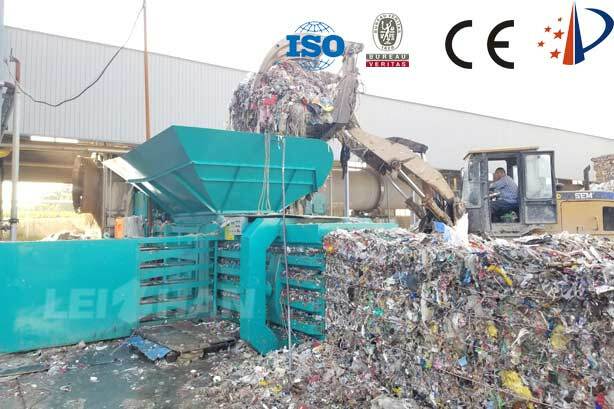 The main function of the waste paper baler is to compress the waste paper to reduce its volume, thereby reducing the transportation volume, saving freight, and increasing the efficiency for the enterprise. Waste paper baler is a mechatronic product, mainly composed of mechanical system, control system, loading system and power system. The whole packaging process consists of auxiliary time such as pressing, returning, carrying, transferring, outbound, outbound, and receiving. 1. All models are hydraulically driven and can be operated manually or by PLC. 2. Compression chamber size and block size can be customized according to customer requirements. 3. Horizontal structure, can be equipped with conveyor belt feeding or manual feeding. 4. Low noise hydraulic circuit design, high efficiency and low failure. Welcome to consult with us for Waste Paper Bale, the price can be negotiated.